These two paragraphs below are from a Reading Study that is linked to this Blog. I think it talks to what we are seeing with some of our schools scores in the state of Michigan. It talks about how fluency is important to comprehension but it is only a steeping stone to comprehension, it say in the second paragraph third sentence page 21 of the study, " The students who seem to slip by teachers are the ones who read fluently, but do not comprehend what is read." This is exactly what Dr. Mike Schmoker talked about at the Student 5 success conference in Lansing. He said, After we teach them to read fluently some where around 2 grade we need to start working on short one to two page articles on reading for understanding and having group discussions on what they have just read. This can be brought into any core areas as Science, History, Math, besides just ELA classes. After that we then need to get them to then be able to write about what they have read. so with this we could help to take care of two of ares where many School need Improvement. While fluency is one of the five components of reading, there is controversy over the amount of attention that should be given to it. Some experts think that a lack of fluency has a greater impact on younger readers’ comprehension than those who are more experienced readers. Others believe it is necessary for all readers to be fluent to comprehend. Experts do agree that fluency does impact comprehension at some level. Teachers should assess whether the lack of fluency is disrupting comprehension before spending a great deal of time working on it. The students who seem to slip by teachers are the ones who read fluently, but do not comprehend what is read. Words such as “quick”, “with expression”, “good phrasing”, or “reads in a meaningful way” are usually used to describe what listeners notice about fluent reading. Fluency is enhanced through repeated readings of familiar text. It is also important that the activities that engage students in rereading familiar text are enjoyable. In his book What Really Matters for Struggling Readers (2001), Richard Allington suggests several ways to engage students in rereading activities to improve fluency. This link is to a short video by Dr. Mike Schmoker summarizing what we need to-do to help improve are schools. It talks about the power standards, best teaching practices and Professional Learning Communities (PLC). it is short only about 9 Minutes long. This below paragraph is to demonstrate how the brain works to decipher the following text. So no I did not have many typographical errors, well this time any way :). Aoccdrnig to a rscheearch at Cmabrigde Uinervtisy, it dseno't mtaetr in waht oerdr the ltteres in a wrod are, the olny iproamtnt tihng is taht the frsit and lsat ltteer be in the rghit pclae. Tihs is bcuseae the huamn mnid deos not raed ervey lteter by istlef, but the wrod as a wlohe. Olny 55% of plepoe taht try to raed tihs can raed tihs. Here is an interesting article in the School Planning & Management December 2009 issue. It suggests that wireless tablets and other alternatives are coming out that will make the Whiteboards at $1500 plus a technology of the past. Ouch, if you have bought into the white board movement. Also at the REMC projector shootout we look at a whiteboards from Steel Case the name eludes me right now of the product. But if you have one it has no electronics in the board and is a plain white board except that they said it has silkscreen dots on the surface. If you have one of these units please contact me, as I think there is some more to this and I would like you to try some thing with this board for me. I promise it will not hurt. this article in the magizine is not online yet but if your school gets this magazine you will find it there on "Lucky Number page 13". I will post a link to the article when it comes online at my Blogspot site. This video will show you how to create a simple stem and leaf plot. The stem and leaf plot is a simple way to create a plot and analyze data without the use of a computer. Yong Zhao "Catching Up or Leading the Way"
Yong Zhao is University Distinguished Professor at the College of Education, Michigan State University, where he also serves as the founding director of the Center for Teaching and Technology, executive director of the Confucius Institute, as well as the US-China Center for Research on Educational Excellence. He is a fellow of the International Academy for Education. His research interests include computer gaming and education, diffusion of innovations, teacher adoption of technology, computer-assisted language learning, and globalization and education. Zhao has extensive international experiences. He has consulted with government and educational agencies. Yong Zhao has been leading the development of Zon, the world’s first MMORPG for learning Chinese language and culture. It provides an immersive environment for learning Chinese through interactions with both pre-programmed content and other players, including live tutors from China. Having renovated or constructed nine new school facilities since its inception in 2000, the nationally acclaimed High Tech High network of schools in San Diego, CA, has put much thought into the kinds of physical environments that best support a project-and inquiry-based approach to teaching and learning. Architect and educator David Stephen is one of the founders of HTH, and served both as the curriculum coordinator for the flagship school, and the Director of Design for six of its buildings. Now consulting nationally with schools and districts on the creation of project-based curricula and school facilities, David has helped to guide the design process for over 20 dynamic and technology-rich school facilities. This webinar will focus on the programmatic underpinnings of High Tech High, and the key spaces and design patterns that have evolved with regard to the creation of its flexible and vibrant learning environments. The session will explore the key elements of New Technology Network approach that helps schools fundamentally rethink teaching and learning, empowering students to become the creators, leaders, and producers of tomorrow. This approach focuses on the development of a culture that empowers students and teachers; uses Project Based Learning (PBL) as an instructional approach to engage students in authentic academic content; and utilizes an integrated technology platform to support student learning and teacher development. The presenter will share data, a sample PBL unit, and explore the student and teacher experience at a New Tech Network School. 21 Things for the 21st Century Project Based on the National Educational Technology Standards for Teachers. Do you want to know more about how to use technology in an effective way to educate students. This website is a way for you to get some professional development. Also you can get college credit towards a master degree if you work with some of the major university in the state of Michigan. Is technology making a diffrence in student learning? Why do you as an educator feel that all this good technology out their has not had a greater impact in the classroom then it has. Lack of support, Lack of training, Lack of time. What are some of the reason that you see this trend happening. Dr. Schmoker is a supporter of the work by Jim Collins “Good to Great” Jim talks to the his research that showed that Good to Great Companies where not made by the use of Technology. He suggest that it only allows companies to do things quick and they would have made it to the same place of greatness without it. Dr. Schmoker in his keynote in Lansing took it one step further and made claim that technology has no impact on student learning. I think this is taking it a little to far. I do believe that technology has had an effect on student learning. For one if you get a student engaged in learning with the use of technology, then it has had some impact on learning. In fact at his lecture he was using these tool to more effectively communicate to the group, a Video Projection unit, a Document Camera like an Elmo, and a microphone. Also during the event they used turnpoint clickers to take some quick sample surveys. This is a great example of good use of technology. It is a great way to have an impact on student learning. In some of the sessions they took pretest and post test to check for understanding of the training with these units. If you had to you could have done this with paper and pencil but it would of taken much longer to find the results. This way the instructors could retouch on content that talked about and may have been misunderstood on. I think is an interesting quote, I think this talks to the fact that we need to make sure that we don't kill that creative spark in kids as we work with them in learning. How we need to change learning. mistakes, but they don't quit." I am in Lansing today and tomorrow for a Data 4SS Conference. This conference has been put on by Calhoun ISD and money from the MDE. They have put on a great program so far. I attended the work shop called “Beyond Achievement Data” This session started out talking about a model called “The Data Wheel” this model looks like 3 gears that are interconnected. The first set of gear driving the system is called the Process Data, the next gear being driven is the Perception Data and the third is the output gear called the Results Data. Lets first look at what is entailed in the Process Data - This is defined in the handout by who, what, when, and where types of information. Example of this are a lesson plan an assessment test formative or sumative. Next their is the Perception Data: This is data that is based on what people believe is true. Also this is called soft data as no one can put a finger on any data that drives there opinion. This data is often over look and under utilized in survey on Student and parent survey instruction practices. The third component of this model is the Results Data: This is what is produced by the students after instruction has occurred. This takes the form of MEAP, Merit, SAT/ACT, and Drop-out rate. Some of the other actives that we preformed were creating a mental model of student learning for your teaching practice and for your district and any other organizations that effect student learning. There was also a Jigsaw activity were three different groups in a table of 6 to 9 people read 1/3 of a paper then each group reports back on the big ideas from what they learned in there section of the paper. The article was on different form of data and how when you look at only one factor you may not see the whole picture and then as you add more layers of data on top of this you way find you have a complete answer to a question. As you get past for levels of data it gets harder to analyze but you will have a more complete picture of the data. This was a good workshop session and allowed me to think at a deeper level how we can use student data to drive and enhance student learning. The second session of the day was on Professional Learning Community (PLC) and how they play a very important roll in creating a safe environment so that so that teachers can work collaboratively on analyzing student data. When creating a PLC organization you need to set norms that the group will operate by another name for norms might be ground rules or group rules there are many more names that this can be called. Many PLC groups have norms but fewer know what to-do if someone in the group doesn’t follow the norms. Some suggestion would be to take a break in the meeting and take the person off to the side and tell them of there error if they would continue to not follow the rules they may need to be ask to not join in the group discussion. There is a four part process when creating norms. Create them practice them in a collaborative group some times if there is problems in the group with the norms or lack of a norm the group may need to reform these norms. This project is coordinated through Michigan's educational service agencies (ISDs/RESAs/RESDs) for use by these agencies and the local public schools they serve. This Title IID grant provided funding to enable the creation of a Professional Development Model designed to foster school improvement planning around quality data and inquiry relating to student work. This grant has also provided funding to build a Dynamic Inquiry tool that helps educators analyze state level data to use in the school improvement planning process. I would like to take this time to publicly thank the Leadership team of the Data for Student Success for all there hard work in setting up this training days. I am at a conference in Lansing on Data 4 Student Success or the short version is Data 4SS. This is a project that the state of Michigan has taken on with ISD and RESA all over the state. I am looking forward to hearing what Dr. Mike Schmoker has to say about student learning. I have read his book "Results Now" and enjoyed it. I have also listen to his podcast of the audio Journals. I will post some of the new ideas that I come away with over the next two days. The Data 4SS takes the MI Meap data and the MME School data and place it in a tool that can be used to find weakness and strengths in your schools curriculum. This is not a new idea but it is a common tool that can be used by all schools in the state. Along this lines their is another tool that will be available soon and that is a Database Warehouse of local schools student achievement data in a tool that will allow schools to get there data into a common reporting tool. We have many different systems in schools today. Student management system, Reading programs, Math programs, and many other forms. But we must now log into each one and pull the need reports. Further more each report is just a little different. The tough part will come in that we have many different databases to pull data from and place it into the warehouse. We will need to look at SIF systems so that we can migrate the data back and forth as seamless as possible. So if you want to learn more about this project comeback and read more as it unfolds. Credit must go to Delerium for the soundtrack - used without their permission. I made this using iMovie as part of a digital literacy program for teachers at the Foothill College Krauss Center for Innovation in Los Altos, CA. All the pictures I took on campus. A level by level treatment of the cognitive domains by Bloom and the verbs used to design your assessment techniques and write your objectives. Video overview of assessment and an introduction to Bloom's Taxonomy and it's application to learning. Google documents: Here is a video showing how you can use google documents to create true colabration amoungst learner. Here how some other teachers have used it to improve learning. Here are an example of how we need to get student success out of the sports show cases and out of the note books or on the teachers desk and on the shelf and instead put them on to the wall of the school. This way being smart is looked up to and student will want todo good work and gain recognization by staff and other students. Here are the catagories that can be nominated. send your nomination in now for your educational blogsite. Here is a tool that you can add to your blog site so that you can see where people are coming from to vist your website. Here is what the UK site talks about with reference to Technology eudcation. Look at this website to see what are counter parts are doing with technology education in the UK. The Institute of Educational Technology (IET) at the Open University provides advice on the use of modern technologies to support effective learning, particularly distance learning and e-learning, in higher education. We are committed to developing expertise in teaching and learning and to applying it, particularly to the benefit of the Open University. As you will see from the list of our research and development activities, we work collaboratively with leading scholars internationally and in the UK. In addition to studying, evaluating and influencing OU practices, we also carry out basic research into learning and e-learning, and applied research into the use of new technologies. Additionally the Institute works in the field of professional development in HE and has a strong and successful record of postgraduate teaching. Here is a quote by Albert Enstine that seems to fit schools and how we need to think, if we want to change them. "Problems cannot be solved by the level of awareness that created them." Here is some software that looks to be a tool for creating visual math learning. Do you spend thousands of dollars a year on textbooks in your district, only to find out that they are no longer current? Here is a FREE Website that after you sign-up you can start to take and lay our a textbook using there free resources. This looks to be a great tool for schools to allow them to start to move away from buying textbooks. When I become a teacher video Watch the top one then the bottom one. Technology research papers "Classroom Response System"
Where to find research on technology for instructional useage in the classroom as a Cell Phone or interactive response systems. Team Teaching integrating two or more core areas into one room and combind multiple disciplines. Howard Gardner is the John H. and Elisabeth A. Hobbs Professor in Cognition and Education at the Harvard Graduate School of Education. He also holds positions as adjunct professor of psychology at Harvard University, adjunct professor of neurology at the Boston University School of Medicine, and chairman of the steering committee of the graduate school's Project Zero. He has written twenty books and hundreds of articles and is best known for his theory of multiple intelligences, which holds that intelligence goes far beyond the traditional verbal/linguistic and logical/mathematical measurements. Here he discusses student-directed learning, multiple intelligences, and a different approach to assessment. Text books are nearing distinction as the dinosaurs. 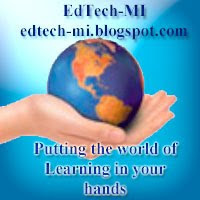 "Replacing ink with digits"
This months http://www.audioed.com/ Monthly Electronic Newsletter talks about "Replacing ink with digits" The Audio Journal says "Are Schools are coming closer to realizing the textbook free classroom with new web sites making it easier to download content. Included are links to some web sites with curriculum content." I think we are near a tiping point in education with online content coming of age and textbooks becoming outdated before they are even off the printing press. By the way is pluto in or out of the plant list this week. My find this week is an online graphing tool that will pull data that is in an XML or CSV format from any where on the internet and if the data is laid out right it will creat a cool 3D chart. This is free for up to 5 charts and $10.00 a month for 500 charts. This tool will lend it's self well to School Improvment as you can see in my links, BTW this is fake data right now. Enjoy. www.diychart.com is a very cool site. Project Based learning a video on how it could play a role in modern education. Bruce Umpstead Biography: As State Director of Educational Technology and Data Coordination at the Michigan Department of Education (MDE), Bruce is responsible for implementing Michigan's online learning graduation requirement and the State Educational Technology Plan. His formal education includes B.A. in Public Administration, M.B.A. in Finance and General Management, and professional certifications in management accounting, project management, and online instruction. Before joining MDE, Bruce served as operations director for an eLearning company, project operations director for a Math/Science Partnership, and online learning faculty for a local community college. Bruce's major professional points of emphasis are using technology to support research based school improvement and innovation programs, creating incentives for technology adoption, and taking technology-based innovations to scale in education. Why Implement Technology into the Classroom? This is a public service announcement created as a podcast in GarageBand discussing why teachers should implement technology into their curriculum. How can we change student learning by getting them excited and enguaged in learning. This video shows some out side the room learning strategies to help accomplish this. Windows 7 Released, First reports sound good for windows 7 in the educational world. Cost will be an issue for upgrading for schools. First reports are good for your current computer as the system requierments don't seem to be that extensive. Down load a trail verson today and give it try. What is Mashable education, I see a new future where educators take many online resources and mash them up in a 2.0 Web application like Google sites or a Wikki or Moodle and create a new online learning enviroment for free. The tools are here now it is just taking some time to find the tools that will best meet your needs and enguage students in learning. Here is a sample site using these tools. These two sites are examples of what you can do to make your own online learning site. Founded in July 2005, Mashable is the world's largest blog focused exclusively on Web 2.0 and Social Media news. With more than 12.5 million monthly pageviews, Mashable is the most prolific blog reviewing new Web sites and services, publishing breaking news on what's new on the web and offering social media resources and guides. Mashable's audience includes early adopters, social media enthusiasts, entrepreneurs, influencers, brands and corporations, marketing, PR and advertising agencies, Web 2.0 aficionados and technology journalists. Mashable is also popular with bloggers, Twitter and Facebook users — an increasingly influential demographic. March 10 - 12, 2010 in Grand Rapids, Michigan. Magic Mouse a new interface that looks cool and will change the mouse interface. With all the budget cuts in Michigan this is an extream point of view of what could happen in school with the IT department. I do believe that purchasing outside service does have some value as you can't be the expert in every aspect of technology. But also if we outsource it all you, will have a disconnect with the IT workers and the needs of education system. This video is a spoof of what it could be like. This video was created and published by EDS. Running with the Squirrels, This is alot like Technology in education and making it all work. Why some parent may consider home school as an option. Here is some of the reason they might try just decied to give it a try. Iam not supporting there school I am only saying that their are things that are not good for children and that we need to look at these brutal facts of are current education systems out there in today's educational systems. How we have made huge changes in telephone and travel and yet there is many of us that still want it quicker and faster and better. Check this video out it is funny. Will you make a diffrence in some students life? Transforative moments for each of us. Project based learning, not all kids learn in the same way or at the same pace. Is projected based learning a way to get to some of the other learners in are school? A great Idea to getting kids to eat better and learn at the same time. At the state tech directors meeting in Lansing, It was a good day. They talked about how we can change student instruction. They talked about the MORE Portal that is located on Library of Michigan website (MEL.org). There was some video that I will link to this blog later on YouTube called When I become a teacher and When I become a teacher Remixed. Great job by Bruce Umpstead and everyone that put this event together. I have said in the past that Technology only becomes effective when it is as simple to use as a pencil. We don't need technology to be integrated in to the curriculum it needs to instead be integral to education. Here are some cool application online that you need to look at. If you look at some of the research done on technology integration you will find that teachers are still not comfortable with the technology component of student learning. So they tend to focus on the the technology when integrated and not the learning out come. Elizabeth Helfant refers to TPCK model as this,"TPCK is a framework that does an excellent job of explaining technology integration. In my mind, it moves technology from an integrated role to an integral one. It acknowledges the expertise associated with technology, content, and pedagogy and demonstrates the strength in overlapping any of the areas. The real power in teaching and learning occurs when all three areas overlap. As Angela Maiers said, what was once an expertise has shifted and not embracing that means never reaching the center point of the TPCK model." Here is an article that Elizabeth Helfant wrote. Anita Archer’s a sample of her using teaching skills. Anita in front of children using good teach practices. What is RTI? it stands for Response to Intervention. I first read about RTI about a year ago and now you cann't pickup a trade magizine with out seeing an ad or article about RTI. Here is a video that shows a school system that uses RTI. Rationale: This research is on an innovative technology made by Nintendo. It is called the DS Lite. With this device, we are going to be discussing a program that is used with the DS Lite called the Personal Math Trainer. The Nintendo DS Lite is one of the devices that comes to mind when I think about a personal technology device. This device is often already owned by most students, who use it as an electronic entertainment device. We will look at how we can take this device and turn it into a personal learning tool. Also, we will be looking at an educational software tool called the Personal Math Trainer. This software is a 10 x 10 math exercise practice program. The 10 x 10 math exercise has been done with paper and pencil for many years in education. The innovation is that with this method of practice the students get 1.5 to 2.8 more practice exercises in the same amount of time. 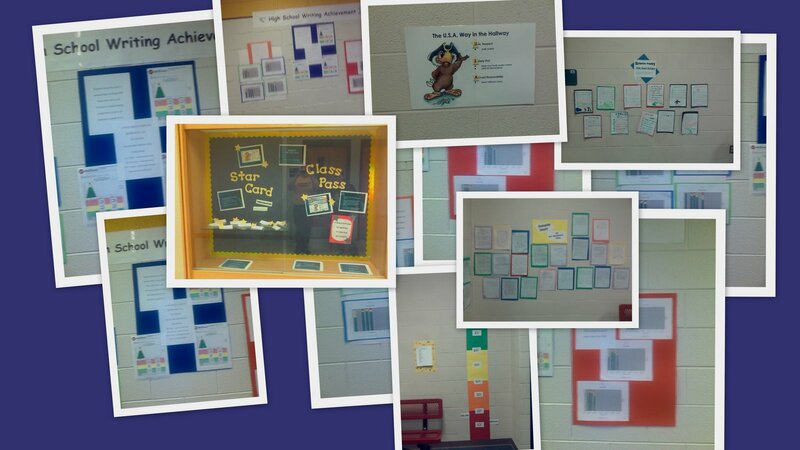 The Personal Math Trainer has 22 levels of difficulty as the students progress with their skills. This way the students are continually challenged as they achieve higher levels of mastery of the subject content. Also, after the students have performed their daily practices and study, they can then compete with 2 to 15 other students wireless. The way that is accomplished is the Nintendo DS Lites have wireless conductivity built into them. The students can work on mastery of addition, subtraction, division, and multiplication. As the levels of difficulty increase, the problems move from single digit to two digits and then three digits. The study referred to in my research was conducted with 3,700 students. It also focused on some other factors that help student learning. One important factor was the amount of student sleep. The study found that students who received 7 to 9 hours of sleep a night had achievement gains as much as 20% over students receiving just more than or less sleep than this. The original research was completed by Hideo Kageyama at Ritsumeikan University. This method of instruction showed that brain activity after using this method of math practice has dramatic changes in the brain pattern as indicated by monitoring the areas of electrical patterns in the learners’ brains. This study also shows the best gains with students that were close to 10 years old. As you look through the two lesson plans, you will find them to be very simple exercises that promote cognitive retention with the use of practice exercises instead of pure rote memorization. I am very impressed with the early results after I purchased a couple copies of the Personal Math Trainer and have been working with my ten-year old daughter. We have not had a chance to check her standardized test scores yet, but we have visually seen her math speed increase dramatically with the daily use of the device. Also, we have turned it into a family activity that has engaged her in further student learning. In addition, I have purchased four of these cartridges for a 3rd grade classroom in our school district to see how well the staff can implement them into the classroom, to see if there are any roadblocks we would need to overcome, and, if so, how to best deal with them. If this project is a success, we will look at ways to build in the purchase of more Nintendo DS Lites for starting out with next year’s 3rd and 4th grades. I could also see using these tools as a Response to Intervention (RTI) for the 20% of the students who may have missed a concept and are now behind. We need to find interventions to help them catch back up with their peer cohort group. Rationale: To have the students complete the daily reinforcement of basic math skills; to do the daily activities and compete against themselves, working towards achieving higher levels of math mastery from levels 1 to 22 in skills. 1. A brief description of the lesson plan: Daily practice activity performed by each student to reinforce student mastery of subject. Students will take their Nintendo DS Lite, complete their daily activity, and then have the DS record it in the attendance area of the program. 2. The technology and resources involved (e.g. facility, network, equipment, software, on-line program, website's URL): The technology used will be the Nintendo DS Lite and a program called Personal Math Trainer. How the touch screen works and how to input the numbers on the touch screen. How to check daily attendance or student days practiced. After talking with the 3rd - 4th grade split room teacher, she told me that after working on this project she found 50% of her students had a Nintendo DS Lite and that students who had the units helped the students that didn't on how to use the unit. This is a great learning tool by itself because it shows a high level of Blooms Taxonomy as students have to synthesize what they know to teach someone else the skills they have. Also, the learning curve to implementation was extremely quick for students, even students who had no experience. 4. What prior skills and knowledge are required of students? There are only very basics skills needed of how the Nintendo DS Lite functions. Most students already know how to use these devices so the learning time is very quick. 5. What are students asked to do exactly (product or process)? : The (process) that the students are asked to complete is called a 10 X 10 math practice session. They do a flash card exercise and some basic math problem solving (5+4=x 7-3=x 4x5=x 20/5=x) and the problems get harder as the levels increase from level 1 to level 15. 6. What are the procedures of the project (steps to teach the technology skills)? : Some reinforcement of basic math skills would be helpful before students start to work on the 10 X 10 math problems. Students will bring Nintendo DS Lite with them to school if they have parental approval; if not, the school will provide a unit for the students to use. School will provide the student with the Personal Trainer Math cartridges. Students would work on their daily activity, trying to do the practice sessions every day, including Saturday and Sunday. This activity takes approximately 10 minutes a day. If time allowed, students could challenge each other in group math exercises. Students as they have extra time also can work on independent practice. The instructors can monitor progress by the level achieved by the students as they move from level 1 to level 22. Assessment would be done at the start of the coursework with pre-assessment in AIMS Web and a post-assessment at the end. All students not achieving adequate progress would be placed in this program to help in a Response to Intervention (RTI) for them. All other students will work on further mastery of subject content but will not be assessed on a weekly basis. 7. What are the advantages of the project? : It allows students to complete between 1.5 and 2.3 more work because the students get instant feedback without having to wait for the teachers to correct the solutions to the questions. The time saved allows students to complete more questions as in the automated correction of assessments. 8. What are the disadvantages of the project? : I don’t see any disadvantages unless it would be that not all students may have a Nintendo DS Lite but at a cost of $129.00 each, they are very affordable for schools and parents to purchase. This is always a concern when we decide to make assignments based on technology that there is equal access by all students. 9. What type of effective instructional strategies are included? : Math 10 x 10 is a very effective instructional strategy to student mastery of these types of many questions and solutions. 10. What are the possibilities that the innovation can be transferred to other teachers, subject content, and different school settings? : I think this has great potential for transferring to other teachers and different school settings. It most likely will not be as transferable to other content learning areas. 1. A brief description of the lesson plan: Math reinforcement with 10 X 10 math challenge between 2 and 15 students. This lesson plan takes the built-in wireless capabilities of the Nintendo DS Lite to challenge students in speed math. 2. The technology and resources involved (e.g. facility, network, equipment, software, on-line program, website's URL): The Nintendo DS Lite and Personal Math Trainer. 3. What skills, knowledge, and pedagogy are required of teachers? : The teachers will need basic math skills to help with student learning as they compete with other students. 4. What prior skills and knowledge are required of students? None, as they should have learned the basic skills needed for this exercise with the first lesson plan on daily activities and attendance. 5. What are students asked to do exactly (product or process)? : Students are asked to complete a process with the math calculations in competing with other students. The (process) is the 10 x10 math grid and doing them as fast as the student can with very few errors. 6. What are the procedures of the project (steps to teach the technology skills)? : Basic steps and procedures will have been learned in the first lesson plan. You will go over how the completion would work as it relates to the speed versus error rate the students are expected to do. 7. What are the advantages of the project? : To help students to become more proficient in their math skills without just encouraging rote memorization of the math tables and facts. 8. What are the disadvantages of the project? : Not all students have these units. Students who do not have them would have to check the units out from the library or another location in the school. 9. What type of effective instructional strategies are included? : Instant feedback, healthy student competition with other peer students without everyone else knowing how individual students scored in the group of 2 to 15 students; reinforcement of math tables and math skills being taught at the different grade levels; and the ability of students to use this technique to complete 1.5 to 2.3 more math problems than using traditional math with paper and pencil 10 X 10 block assessments. 10. What are the possibilities that the innovation can be transferred to other teachers, subject content, and different school settings? : Some of the math stimulation may carry over to other content areas but, for the most part, this activity will only transfer to other teachers teaching math and different school settings as far as grade levels. N.ME.01.08 List number facts (partners inside of numbers) for 2 through 10, e.g., 8 = 7 + 1 = 6 + 2 = 5 + 3 = 4 + 4; 10 = 8 + 2 = 2 + 8. N.MR.01.09 Compare two or more sets in terms of the difference in number of elements. N.MR.01.11 Understand the inverse relationship between addition and subtraction, e.g., subtraction “undoes” addition: if 3 + 5 = 8, we know that 8 - 3 = 5 and 8 - 5 = 3; recognize that some problems involving combining, “taking away,” or comparing can be solved by either operation. N.FL.01.12 Know all the addition facts up to 10 + 10, and solve the related subtraction problems fluently. N.MR.01.13 Apply knowledge of fact families to solve simple open sentences for addition and subtraction, such as: ■ + 2 = 7 and 10 - ■ = 6. N.FL.01.14 Add three one-digit numbers. N.MR.02.07 Find the distance between numbers on the number line, e.g., how far is 79 from 26? N.MR.02.08 Find missing values in open sentences, e.g., 42 + ■ = 57; use relationship between addition and subtraction. N.FL.02.12 Calculate mentally sums and differences involving: three-digit numbers and ones; three-digit numbers and tens; three-digit numbers and hundreds. N.MR.02.13 Understand multiplication as the result of counting the total number of objects in a set of equal groups, e.g., 3 x 5 gives the number of objects in 3 groups of 5 objects, or 3 x 5 = 5 + 5 + 5 = 15. N.MR.02.14 Represent multiplication using area and array models. N.MR.02.15 Understand division (÷) as another way of expressing multiplication, using fact families within the 5 x 5 multiplication table; emphasize that division “undoes” multiplication, e.g., 2 x 3 = 6 can be rewritten as 6 ÷ 2 = 3 or 6 ÷ 3 = 2. N.FL.03.08 Use mental strategies to fluently add and subtract two-digit numbers. N.MR.03.09 Use multiplication and division fact families to understand the inverse relationship of these two operations, e.g., because 3 x 8 = 24, we know that 24 ÷ 8 = 3 or 24 ÷ 3 = 8; express a multiplication statement as an equivalent division statement. N.FL.03.11 Find products fluently up to 10 x 10; find related quotients using multiplication and division relationships. N.MR.03.12 Find solutions to open sentences, such as 7 x ■ = 42 or 12 ÷ ■ = 4, using the inverse relationship between multiplication and division. N.FL.03.13 Mentally calculate simple products and quotients up to a three-digit number by a one-digit number involving multiples of 10, e.g., 500 x 6, or 400 ÷ 8. N.FL.04.08 Add and subtract whole numbers fluently. N.ME.04.09 Multiply two-digit numbers by 2, 3, 4, and 5 using the distributive property, e.g., 21 x 3 = (1 + 20) x 3 = (1 x 3) + (20 x 3) = 3 + 60 = 63. N.FL.04.10 Multiply fluently any whole number by a one-digit number and a three-digit number by a two-digit number; for a two-digit by one-digit multiplication use distributive property to develop meaning for the algorithm. N.FL.04.11 Divide numbers up to four-digits by one-digit numbers and by 10. N.MR.04.13 Use the relationship between multiplication and division to simplify computations and check results. 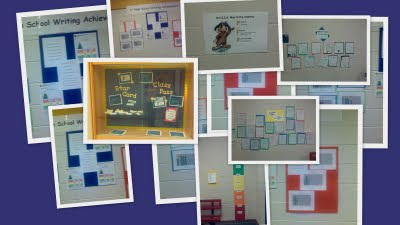 Berrien RESA is hosting Teacher's Choice Awards to select the Best Content Providers for the 2008-2009 school year. Results will be shared via the Berrien RESA VC Content Providers Database and the videoconferencing listservs. or from search boxes on your local distance learning website. Polycom has chosen to do a drawing for prizes to random participants of the survey to encourage participation. If you wish to be included in the drawing, add your contact information at the end of the survey. Polycom will selecting the winners randomly. You must complete the survey by May 18, 2009 to be included in the drawing. Please share this announcement with your local videoconferencing colleagues. We welcome entries from teachers, even if they vote in only one category/subject area. Well we are winding down another school year here in Michigan. It has been a little hectic here and I have been also tie-up with family, my nephew Nimmer Jabber from Australia and my uncle Don Jagger from California. Also this Friday 5/1/2009 I have my last class in master degree program at Central Michigan University. So was short break from the blog has allowed me to reflect on education and educational technology. First Nimmer was here and we talked about technology and it effect on society and education. Being a 21 year old he has a much different prospective then uncle Don. My uncle came from a one-room schoolhouse with maybe running water from a hand pump that was outside and the old out house, with no blue water. It has made me think about how we have industrialized education as Henry Ford industrialized auto manufacturing. Is this good for education? Will we look back on history and ask, what was that all about? Only time will tell this story, but I think we need to get back to some basics of education, Reading, Writing and Arithmetic. If we instill basic building block for students the rest will start to fall into place. Oh yes please don’t take away the basic of kindergarten mike and cookie for a snack naps in the afternoon and playing with building blocks. These have been foundation-building skill for years let them still be children and not try to make them into little scientist in Pre School. This being said and this message is to my self also, Read to your children early on age one to four. Then help them read for if they find a love for reading this will start the opening of a whole new world for them. Then there are the teachable moments when you can make learning relevant to them and this opens more doors to learning. With good basics and fun learning student will thrive and grow. If we can then just find that little switch of what they love and find interesting they will light up and produce more then we could ever get out of them by forcing them to do activities and learning that is not of there own internal motivation. External motivation as bribery will not work in the long term. So lets bring back some of the one room schoolhouse and integrate it into the technology enriched environment. Technology will not be the difference from a successful student and a struggling student. It will only work to accelerate student learning. But it sure is nice to have in door bathrooms and not the old out house. Math trainer is a research based 10 x 10 or 100 square math training doing addition, subtraction and dviding. This youtube video show Brain Age an educational tool using a personal learning device called the Nintendo DS lite. Chuck House, executive director of Media X, Stanford University's membership research program on media and technology, talks about the new skills needed for 21st century jobs. First in the series of two clips. Part 1 shows how mostly standard features of Moodle are used by classroom teachers in high school settings. Part 2 shows the changes that establishment of Moodle has sparked, enabled and encouraged around the school. Second in the series of two clips. Part 2 shows the changes that establishment of Moodle has sparked, enabled and encouraged around the school. Part 1 shows how mostly standard features of Moodle are used by classroom teachers in high school settings. Moodle Video by Molly Tipton uses Moodle in her 8th grade social studies class. Moodle is a tool for Learning Managment System (LMS). It is a great tool to create learning communities in. Moodle provides teachers with a means to create differentiated learning opportunities for students. How to make a Wii remote whiteboard for $50.00 to $75.00 Here is a demo of how it works and it is much cheaper then a $1500.00 whiteboard like the Smart interactive white board. I believe technology is so important in our schools. Technology prepares students for lives in the future. It also engages students. Students expect to be engaged in education today and we can not put a funel in there ear and dump the information into them with teacher lectures. We must engauge them into there educational experiance. This video was created by Tom Woodward of Henrico County schools in Virginia. Tom used the work of Karl Fisch from Colorado who created a PPT using various quotes and statistics from "flat world"